Give the Gift of Transformation This Year! Order your signed copies of Arrows of Truth Here! While you are gifted with unlimited choices every day, the choices are not of equal value and one of the most important choices that you can make is how you choose to see the world, situations and yourself. And when you change how you see things, incredibly the things you see change. 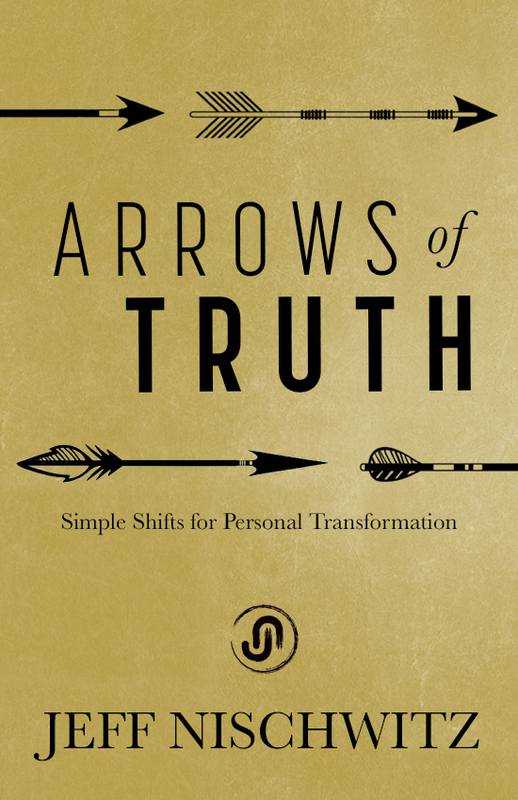 Arrows of Truth is designed and intended to be your companion on your journey of life and leadership. With insights, perspectives, ponderings, and questions you’ll be invited to question your old thinking and to embrace new perspectives that will help you achieve and create the impact you desire, both personally and professionally. Intentionally designed to be easy to read, you’ll explore new thoughts or perspectives and you’ll have the opportunity to explore how these relate to you (and your life). It’s also an opportunity to commit to new ways of thinking, being and acting that will help you be the person and leader you desire. If you’re like me, you know that the world needs more leaders – different and courageous leaders – who are committed to living a mission, making a difference and helping others on their journey. My hope and prayer is that Arrows of Truth will be just the spark you need each day to support you in being the difference maker you were meant to be and having the impact you are longing to have in every part of your life. One final thought (or warning): you will be challenged by Arrows of Truth. You will want to resist the shifts in perspective and thinking. You will also want to say “I already know this”, but the question is whether you’re living it. Change is challenging not only because we fear it (and the unknown outcomes), but because it forces you to be uncomfortable as you make difference choices and create new experiences. Lean into the resistance and step past your fears – people are waiting for you to show up and to lead in different ways than you ever have before. And one final inspiration: we and the world need you. There are so many opportunities to make a difference in your business, your job, your family, your relationships, your community and yes, the world. We can no longer look to the government, to large organizations or to institutions to create the change that is needed. It’s up to us – you, me and one person at a time – coming together and choosing to make the shifts and choices that will change things for the different! Are you committed? Get your copies here!